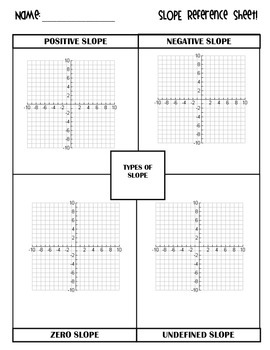 This is a great graphic organizer to help students recall four different ways to find the slope of a linear function. These four ways include: From a graph, an equation, a table, and two given points. 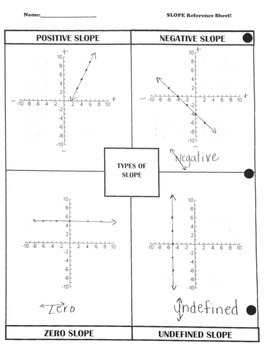 The second graphic organizer helps students have a reference guide for positive, negative, zero, and undefined slope. 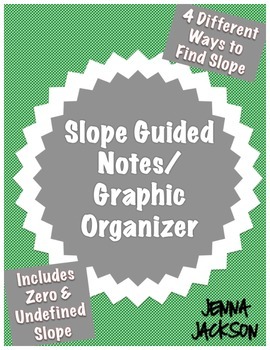 This graphic organizer has guided notes, multiple examples, and little tricks to help students remember positive, negative, zero, and undefined slope. 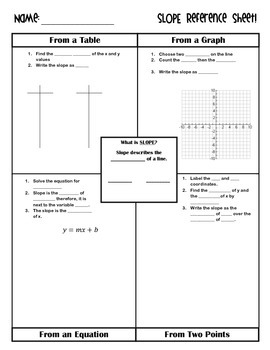 The Link-Slope Task Cards are a great follow up activity!